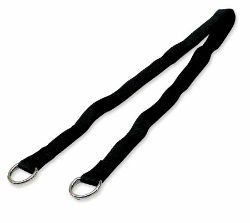 Heavy-duty 1" nylon makes our straps weather and mildew resistant. Nickel-plated, welded steel D-rings on both ends. Economical alternative to OB chains. Available in 30" and 60" lengths. For use with OB Handles.